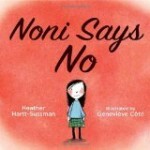 Picture books, chapter books and novels that explore bullying and conflct resolution themes. Whether a child is being bullied or is bullying another child, these books and the guidance of a caring adult will help. 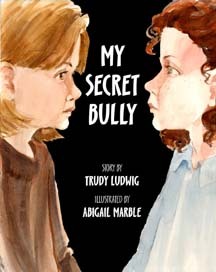 We invite you to visit our page about anti bullying chapter books, graphic novels and novels. The young bull does go away. He goes to a different part of the pen where three friends invite him to play. Rabbit, Chicken and Turtle are stunned when he loudly shouts, “NO. Their shock and disappointment is only made worse when the young bull starts name-calling. Finally a brave billy goat speaks up and correctly labels the young bull a “Bully.” Bull is shocked to realize that he has been bullying the other farm animals. After pausing to reflect, he apologizes to his friends and asks if they will play with him. There is much to notice and enjoy in Bully. Young readers will certainly note the young bull’s body language and size when bullying the other animals as opposed to when he realizes his mistakes. Ms. Vaccaro Seeger has depicted his blazing eyes and set jaw beautifully. His anger and frustration is clear. We also see Bull’s remorse when he realizes his mistakes. Bully invites discussion about what might cause bullying behavior as well as how the decision to speak up can make a difference. highly recommended for children aged four and up. An enjoyable story with a worthwhile message, Clara and the Bossy has a gentle anti-bullying theme. 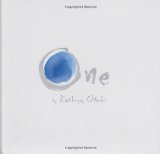 It could be used effectively with young children to explore themes of friendship, conflict resolution and bullying. Eddie is much, much taller than his classmates and his teacher. He is far too big for his school. At recess time, he endures endless name-calling and teasing. He deals with the abuse by isolating himself, he stands near a tall tree and is visited by happy, chirping birds. When Eddie’s mom arrives for a visit with the teacher, Miss Snowpear promptly climbs onto the roof. The two adults model good behavior despite their differences in stature. She feels anger rising inside her, It makes her insides growl and her toes curl up. All this because Eddie is big! Pete knows that he is in trouble. He wants to escape so he climbs up, up, up into a very tall tree. Suddenly, he realizes what he has done and he is frightened. He needs help to get back down from the tree. 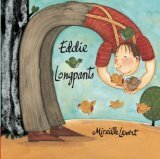 Eddie Longpants is an anti bullying picture book that is best suited to children four and up. It delivers a lovely message about acceptance and is sure to prompt a discussion about teasing and ways to deal with it. Ms. Levert’s illustrations are warm and engaging. She makes great use of each two-page spread to show us just how tall Eddie, his mom and his dad are. Enemy Pie is very well suited to a group setting. It invites extension activities and encourages discussion about becoming friends and how first impressions may not be accurate. The cheery illustrations enhance the story nicely. Fancy Nancy and the Mean Girl is part of Harper Collins Children’s I Can Read series. Ranked by Harper Collins as “Beginning Reading Level 1,” it is generously illustrated and includes words such as appetite, splendid, speechless and canceled. Field Day is just around the corner. Most of Nancy’s classmates are excited about the upcoming races but Nancy is not. She is dreading Field Day because she is not good at running and last year, when her team lost, she was teased. When Nancy discovers that Grace is on her team, she is doubly concerned. Grace is sometimes mean. Nancy trains hard for the relay race but her training is too little. too late. She decides a different tactic might work. She pretends she has injured her foot and she begins limping. Nancy’s dad is not convinced by her limp and he questions her about it. Finally, Nancy confides and explains why she is upset. “I will run as fast as I can. You are a good runner. 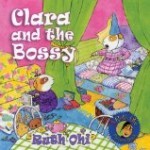 Fans of the Fancy Nancy series are sure to enjoy this anti bullying book for beginning readers. The story is engaging. Both Nancy’s problem and the outcome are realistic. Fancy Nancy and the Mean Girl could lead to discussions of teasing and bullying as well as sportsmanship and doing one’s best in a difficult situtation. Recommended for children aged six and up. Is it Because? 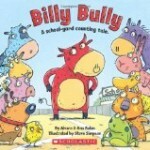 provides a refreshing and altogether different take on the anti bullying picture book. Peregrine Ffrog is a nasty bully. He leaves his victim stretched out in a mud puddle with a black eye. Peregrine’s target is a boy with a fabulous imagination. He can envision all sorts of serious and not-so-serious reasons for Peregrine’s horrid bullying behavior. Is it because he’s friendless, you see? Is it because he lives in a tree? It is because of the size of his head? It is because he wees in his bed? Happily, after posing questions and imagining what has led Peregrine to this behavior, his victim is left with a healthy sense of self worth, the loyalty of a pet dog and a couple of good friends. Encouraging the reader to view the perpetrator through a different lens, Tony Ross imagines and, with humour, illustrates all sorts of reasons someone might bully. He does not make excuses for the bullying nor does he “solve” the problem. His approach, which encourages readers to ask questions and rethink assumptions, is empowering. 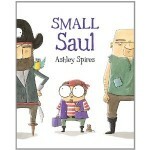 Fans of Tony Ross will not be disappointed with this anti bullying picture book. As well as considering the “why” of bullying, readers may gain some sympathy for the bully and may even decide the bully is a victim of sorts. Great for kingergarten and older children. Suitable for children five and up, My Secret Bully offers all sorts of extra anti-bullying materials including a forward by Susan Wellman, founder of The Ophelia Project, notes for parents and teachers, suggestions for what to do if you are a target, discussion points, additional resources, websites, recommended readings and a list of ten ways to be a better friend. Genevieve Cote’s powerful illustrations depict Noni’s emotions beautifully. Without a doubt, Noni Says No readers will feel compelled to consider what it means to be a friend and how to assert one’s ideas and opinions respectfully. The story will be enjoyed by all children four and up and will have a special resonance for those who lack confidence in social situations. Tucker loves to dance and especially likes ballet. “It feels right to him. Like breathing.” His unconventional passion means that his classmates view him as weird and he is generally the last person chosen for team sports. Rather than joining other boys for football practice, he rushes to a dance class. Enroute, he endures teasing but, once he arrives at the studio, his heart swells and he feels pride in accomplishment. 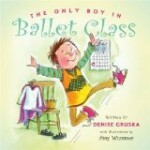 At home, Tucker’s mom is very supportive of his involvement in ballet, “I don’t like that you love to dance. I love that you love to dance!” A visiting uncle is not nearly as compassionate. He thinks Tucker ought to play football. An afternoon ballet recital is the perfect opportunity to demonstrate his love of ballet, as Tucker takes on the role of a prince during a performance. Tucker’s mom and sisters are delighted with the show. Unconvinced, Uncle Frank remains committed to the merits of playing a sport. While walking home from the recitial with his family, a member of the neighbourhood football team spots Tucker and asks, “Hey, Twinkle Toes, wanna play football?” With Uncle Frank at his side, Tucker is hard-pressed to say, ‘no.’ Before long he is wearing a football jersey and helmet and suddenly finds himself involved in an important play during a championship game. Although adept at using his dance steps to avoid being tackled, ballet remains Tucker’s joy and he is shocked but pleased when a group of football players decides to join his class. Best suited for children aged five and up. MEAN JEAN was Recess Queen and nobody said any different. Mean Jean is a playground bully. At recess, she commands all those around her. She controls the swings, the soccer ball and the basketball. Before long, there is a showdown between Mean Jean and Katie Sue. When Katie Sue pulls a jump rope from her pocket, she invites Mean Jean to skip with her. 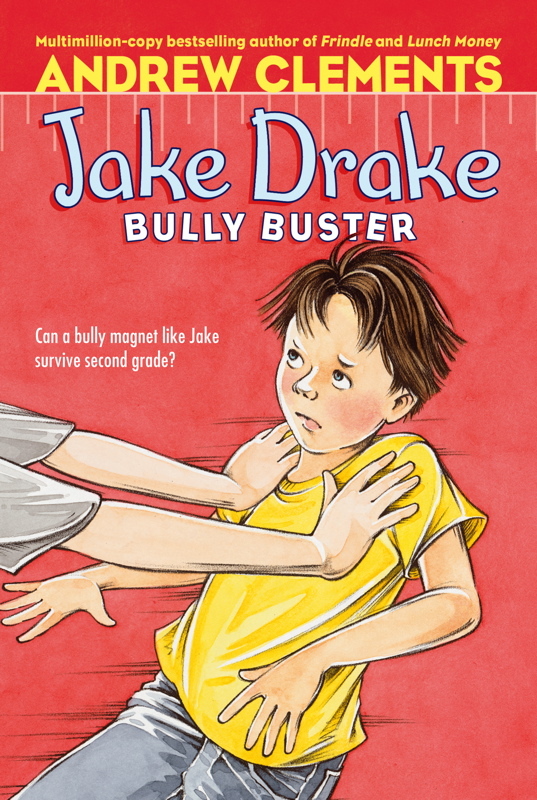 Repetitious text, delicious wordplay and bright, energetic illustrations highlight a terrific anti bullying book that begs to be read aloud. 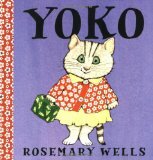 Recommended for children aged four and up. When he is finally invited to join a pirate ship calledThe Rusty Squid, he is excited to find ways to contribute. Unfortunately, it is not long before the captain and crew understand that he is not a typical pirate. “It didn’t take long for the other pirates to notice that something was different about Small Saul.” He knows how to garden and bake and is rather good at decorating. He decides to get a tattoo but bunny tattoos don’t intimidate anyone. Stop Picking On Me is part of a series that looks at difficult issues. Other titles in the A First Look At series examine death, disability, health and fitness, sibling rivalry and family break-up. This anti-bullying book will be most effective if the various observations and suggestions are discussed and explored thoroughly. 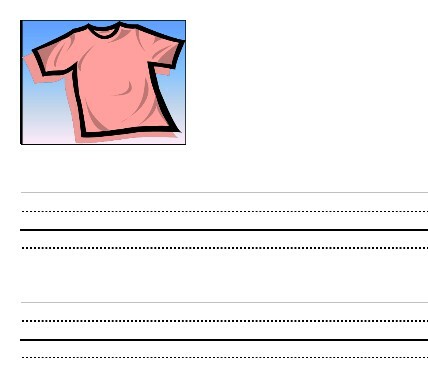 It could be used together with a role playing activity or an examination of a situation from different points of view. Endnotes for the book provide information for children who are being bullied as well as ways we can all help to stop bullying. Steve and Carl are contented ducks. Steve is happy to build castles with empty tin cans. Carl amuses himself playing with socks. Steve and Carl are not stupid and they do not like being called names. When some seagulls insist upon calling them, “Two dumb ducks,” they ask themselves, “Why?” and they suppose it could be “Jealousy” or “Troubles at home.” The ducks ask the seagulls to stop their bullying and, when that doesn’t work, they try to appear smarter. The nasty name calling continues and eventually Steve and Carl decide to get even with the gulls. An ill-advised plan has unexpected consequences and, as a result, is spectacularly successful. Steve and Carl achieve their goal: the seagulls are silenced and the two friends are free to enjoy building with cans and playing with socks. Pencil illustrations have been coloured digitally in this cartoon-like picture book. 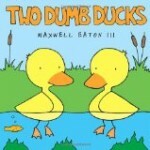 Best suited to preschool age children, Two Dumb Ducks could be used to explore teasing, name calling and bullying themes. Kayla and Melanie love to work together on school projects. They are very much alike and sometimes they dress the same way. At recess, they sit together on the jungle gym. They don’t want anyone else to join them. You’re Mean Lily Jean is an anti-bullying book that is best suited to children four and up. It offers many opportunities for children to consider each girl’s perspective and ways to resolve difficult social situations. 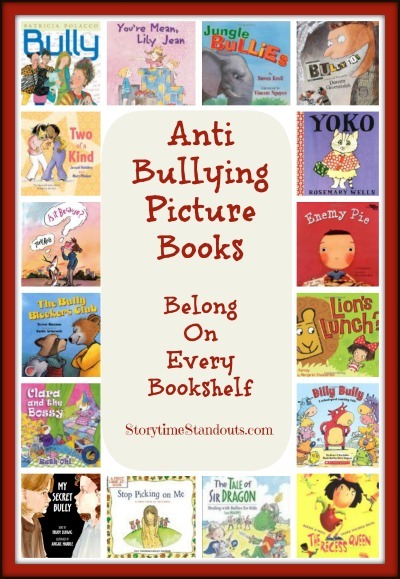 Follow Storytime Standouts’s board Anti Bullying Picture Books and Resources on Pinterest.